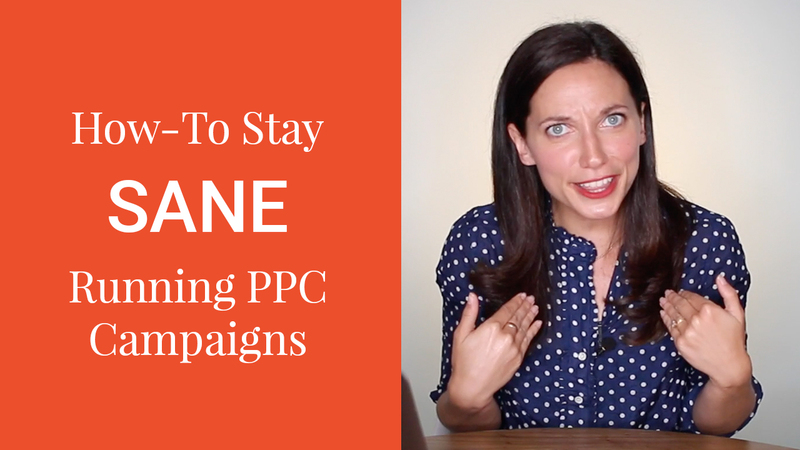 So a lot of eCommerce companies come to me asking for some tricks or key elements to making their online ad campaigns profitable. They’re hoping that I can give them a few ninja ad tricks to make their campaigns instantly pump out sales. 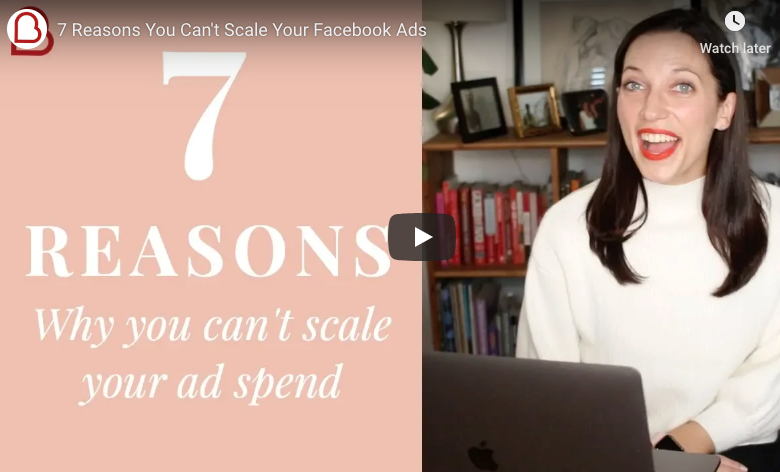 While sometimes that’s possible, what I usually tell them is that the critical components to a profitable ad campaign don’t just rely on a few secret techniques. Those tricks can help you become even more profitable, but aren’t worth doing if you don’t have the right fundamentals in place. 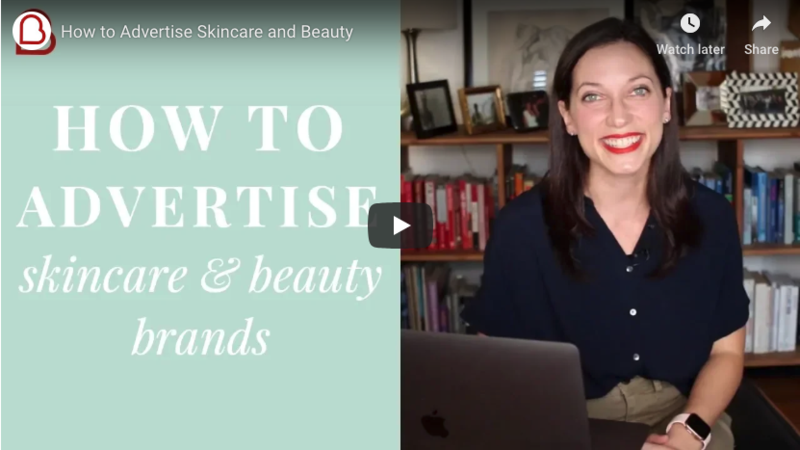 The real secret to a profitable eCommerce ad campaign starts ​by making sure your business already has these ​​core elements. Let’s dive into each of them. This is simply the amount of people who visit your site that end up buying. If 1,000 people come to your site and 2% buy you have 20 customers. That’s obviously a far better position to be in then to have 1,000 people come to your site and only 1% buy, leaving you with 10 customers. You should be running regular A/B tests on your site to improve your conversion rates. This will not only help you get more sales from organic visitors, but will make your ad campaigns more profitable. You haven’t done any A/B testing. You make $30 profit on a product. 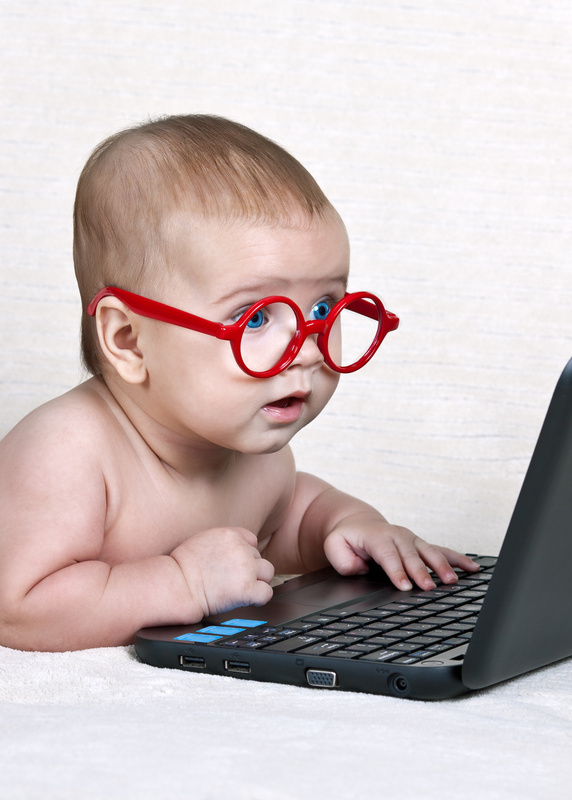 Now, let’s say we run a few A/B tests on the site and are able to raise your conversion rate by 30% to 1.17%. As you can see, just paying to send traffic to your site without strategically thinking about how to improve the conversions of your site will cause your campaigns to suffer. And another huge benefit is that you don’t have to do any radical redesigns. Sometimes just a few small changes will provide a massive increase in conversions. There’s a famous example of a major online retailer A/B testing the checkout button on their site which led to a $300 MILLION increase in sales. We’ve changed just a few words on a single page of a client’s site and increased conversions by 40%. The other thing store owners overlook is their average order size. Let’s say you get roughly 1,000 sales per month and your average order size is $30. You want to make $10,000 more each month. Or, what if you were simply able to get on average, your 1,000 orders per month to be for $40 instead of $30. Now you’re making more money per visitor. This not only helps increase your normal profitability but helps make it far easier to obtain profitability on ad campaigns. So how do you raise the average order size? Give incentives for people to order more than 1 if that fits with your product. 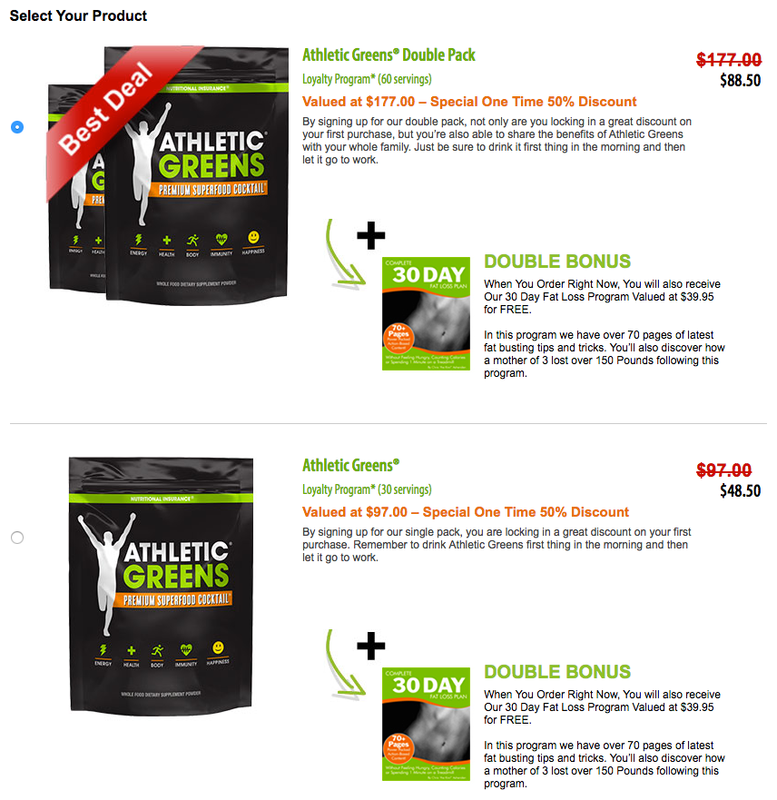 I recently ordered Athletic Greens and at checkout they give you a discount if you buy 2 packages instead of one (example above). Use cross selling to add other products to the cart. This is why overtime you add something to your cart on Amazon it says “You might also like this:” and displays a few other items for you to add to your cart. Athletic Greens did this as well, offering me their protein powder and other supplements after I had made my initial purchase. Having a strategic and automated backend, which is up next. Quick question: What is the most valuable asset in your business? It’s not your branding. It’s not your inventory. It’s not your website. It’s not your IP. So you’ve just gotten someone to buy your product. Everyone knows that it’s WAY easier to get someone who’s already bought from you to buy again instead of finding a new customer. So here’s what most eCommerce businesses do after somebody buys from them… NOTHING! They might send out a newsletter once or twice a month but that is it. What if instead, after someone bought from you, they were placed in an automated email sequence which stayed in touch with them once a week or more and fostered a deeper bond between them and your business and let them know about other products you offer. This drastically raises the lifetime value of a customer and the best part is that after it’s initially set up, it’s all on autopilot. Here’s an example of Athletic Greens’ automated backend. After I ordered, they email about a sale on their travel packs so that you can take the product with you while you’re traveling. It’s not all about selling though. Their later emails provide helpful information about juice, insulin hormone imbalances and more. What if you don’t have other products to sell? You can partner with non-competitive businesses with great products that sell to the same type of customers and can let your buyers know about these other products. If you send great product recommendations to your customers, they’ll love you even more. And you’ll get paid by the partner company for promoting their product. If you put all of these strategies together, you could easily see your sales double or even triple. Having these building blocks already in place makes online advertising incredibly profitable and allows you to outspend and out market your competition.